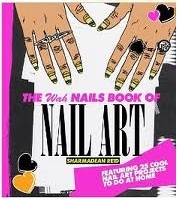 These are taken from a wicked Nail Art book a friend bought me for Christmas, The WAH Nails Book of Nail Art by Sharmadean Reid. It’s a brilliant book full of new and interesting designs as well as takes on some of the classics. This one is one of my favourites so I had to try it out first! I’m sure I’ll be posting plenty of others soon. I started with giving my nails a good pampering, because they haven’t had one for a while, and it’s important to treat them nicely. I took off all remnants of old nail polish, and then gave them a good file and buff to get them in nice shape as a decent base. I then slicked on a plain base coat for added protection. I chose five different colours (purple, red, yellow, blue and green) and coloured and gave two coats to each nail to get an even colour. 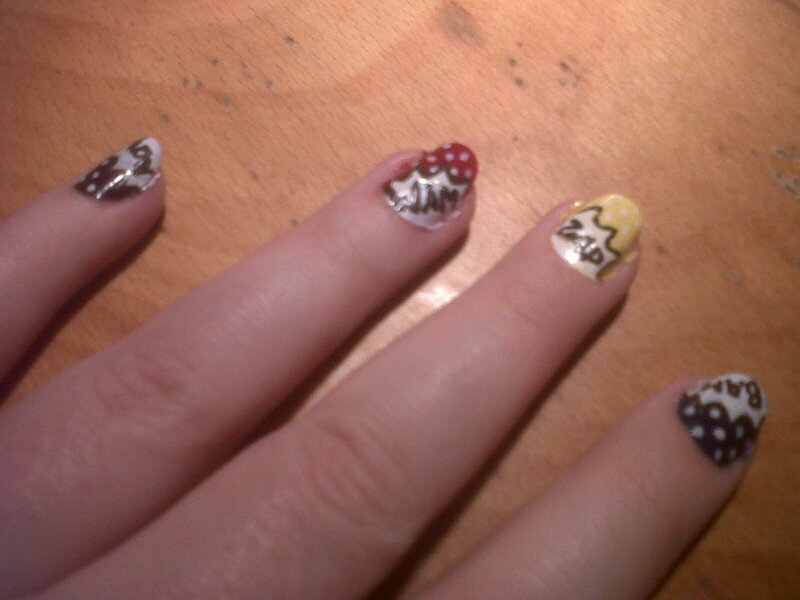 Once completely dry, I used a plain white and coloured random corners and edges of each nail. Using a white nail art pen, I fanned out the edges to give an explosion look to each. 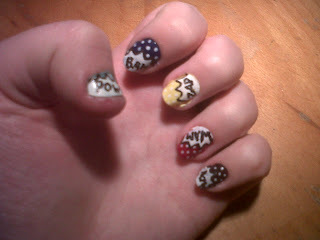 Once dry, I added in the lettering and black outline with a black nail pen and added the polka dots with my white pen. 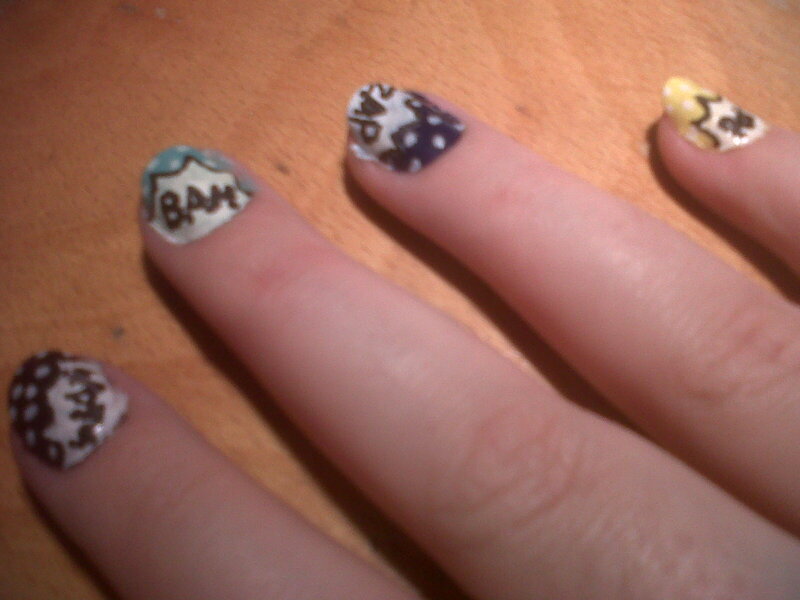 And once everything had dried off, I added a clear top coat to finish. Of course there’s all sorts of colours you could use, and lettering as well. I went with comic-strip words such as ‘POW’, ‘BAM’ and ‘ZAP’, but you can add in whatever you like to make it your look. One thing I would suggest is using specific nail pens. Unless you’re a dab hand at another technique that produces the same results, it was tricky enough to get this right with pens, so I would advise using appropriate tools. These are fun and a bit different, and I’ve already had quite a few compliments on them tonight!